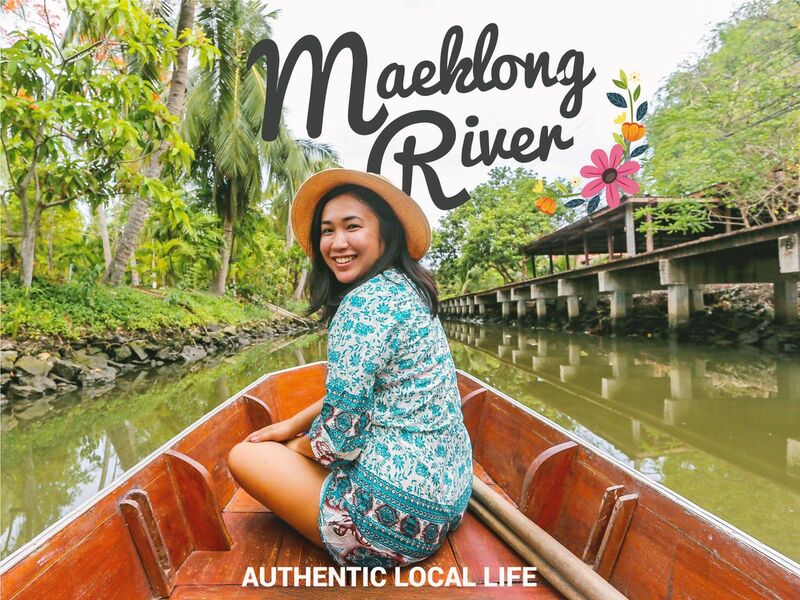 Let's spend quality time in along the Maeklong River in Samut Songkhram! Come and explore local communities and visit a local floating market with me! We will do many fun activities together! Start by going back in time to see a traditional floating market and appreciate the local lifestyle at Tha Ka Floating Market (Which opens on the weekends and on special days, depending on the moon phase). Let's row the boat to visit the coconut farm and learn how to make coconut palm sugar the traditional way! Let's have local, authentic Thai food for lunch by the canal! You can try traditional Thai noodles sold for over 50 years right here! Visit Wat Bang Kung, the famous ordination hall that is completely enclosed within the roots of a banyan tree called Bot Prok Po. Visit a famous railway market and try different street foods! If you need recommendations from me on what to eat, please tell me! Head back to Bangkok by train like the locals with a salt farm view along the way back! We shall end the trip at Victory Monument BTS Station! I hope you enjoyed my trip! If you are looking for a quick escape from Bangkok to enjoy your slow life in a nearby province this trip is your call. You will get to see an authentic local lifestyle of Thai people in Samut Songkram province. There would be "ONLY US" who come to the camp here. Enjoy a simple life of genuine locals which are totally different from the urban within an hour journey. Having a chance to live your life the way genuine locals do for a day. ONLY HERE! Anne was an amazing guide and very knowledgeable. This was a wonderful way to get away from the city and touristy areas to see more local living and travel. She introduced me to some incredible Thai food throughout the day. I highly recommend this tour with Anne. She is kind and funny - I ended the tour with a friend. The tour itself was interesting and full of local flavour. Guide was friendly and shown us many interesting sights and the tuk tuk driver was equally great .